WordPress website design for a personal injury law firm located in Orlando Florida. 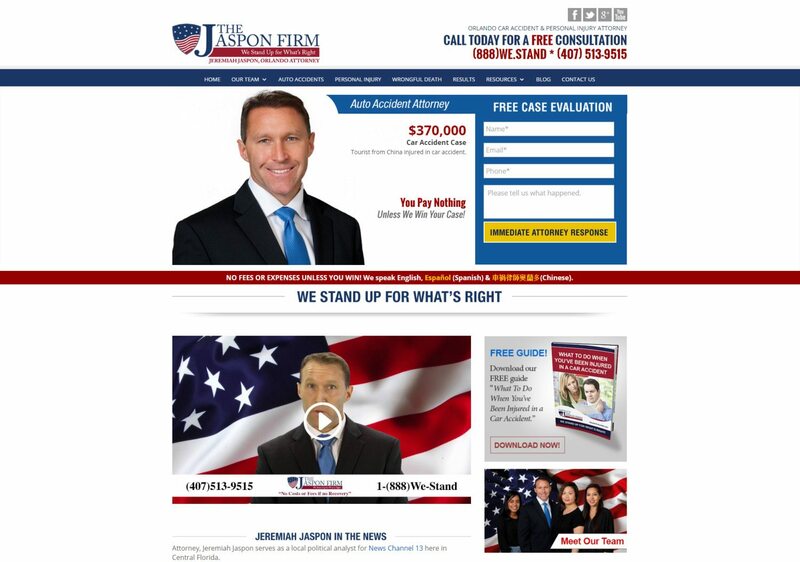 The Jaspon Firm is a custom WordPress website design that incorporates state of the art SEO technologies, videos, contact forms, blog, and legal content tailored for the law office. The site contains English, Spanish and Chinese content.